their lives are still at risk in Malaysia. Karen Zusman interviewed on Chicago Public Radio's Worldview with Jerome McDonnell. Since last year the trafficking of refugees at the Thai-Malaysia border has abated—due in large part to the scrutiny the Malaysian government received for its involvement in these incidents. While the U.S. State Department elevated Malaysia's ranking in their 2010 Annual Human Trafficking Report, as well as praised them for the efforts to combat trafficking, the policies and corruption, which leave the refugees from Burma (and elsewhere) vulnerable to trafficking and other human rights violations have not been addressed. A newly instigated crackdown this summer on undocumented workers has left refugees as vulnerable as ever to various forms of official corruption that result in gross violations of their fundamental human rights. Prominent human rights advocates such as Tenaganita's Dr. Irene Fernandez report that the trafficking has not abated but has taken on different forms. There are numerous reports of refugees being approached in the detention camps by Malaysian Immigration officers who promise them freedom in exchange for the same amounts of money that were demanded of the refugees from the traffickers last year at the border. Police regularly stop refugees and demand payment for their release, despite the refugees' possession of United Nations refugee cards. Youth are arrested and held for long periods in the detention camps, along with pregnant women and the elderly. They are denied medical treatment, access to clean water, and are routinely humiliated and sometimes beaten. Men are still caned for entering the country illegally. Children are locked up inside because the fear of their going out to play and getting arrested in the process is too high. Orphans who have fled extreme abuse in Burma are not provided safe shelter in Malaysia. The list goes on. And yet, Malaysia was elected as a member to the United Nations Human Rights Council in May of this year. How can a Human Rights Council member be involved in such gross violations of human rights of the world's most vulnerable populations? In the last year since completing Please Don't Say My Name, I've visited Kuala Lumpur twice to follow-up with the refugees featured in this story as well as to report on the current developments in Malaysia pertaining to the refugees from Burma. My most recent trip was in August, made possible by a travel grant from the Pulitzer Center for Crisis Reporting, www.pulitzercenter.org. Please visit my project, Malaysia: Refugees from Burma at Risk. 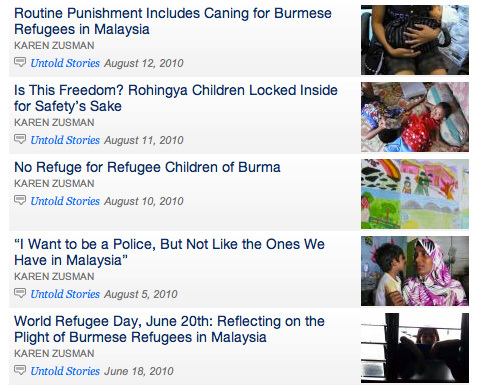 Click on any of the stories below and you will will be taken to the Pulitzer Center website. Despite surviving 3 years of slavery on the fishing boat when he was sold to traffickers by Malaysian Immigration officials, Htut Kuang is still waiting resettlement. He phoned me just this week to find out if there is anything I can do to speed his process. I tell him I am trying, which is true. Htut Kuang was also featured as ‘“Zaw Tun” in Tenaganita's new book, “The Global Catch,” which tells the story of the men and boys who have been trafficked as modern slaves—sold to fishing boats off the coast of Malaysia. Jack’s brother, sister and girlfriend, all of whom were arrested at the end of the recording of Please Don’t Say My Name have been released from detention. Jack’s brother was detained for several months and his harrowing account of the detention camp can be read here. The story of Jack’s girlfriend and friend can be read here. Jack has been told he will be resettled to the United States, but that was nearly a year ago. Still he waits without any indication of when he will be able to leave Malaysia. Sin Yi remains in Kuala Lumpur waiting for resettlement. 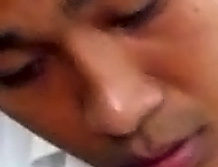 He has not been arrested in the last year but is not at all confident he will not be “caught” again by Rela or police. Kline works in the U.S. as a sandwich maker in a hospital in the midwest. She receives minimum wage and must travel nearly 2 hours each way by several different bus routes to reach her job. 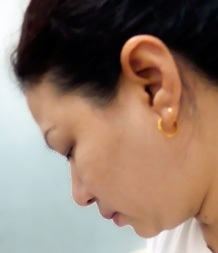 She hopes to improve her English and find better employment in the future. She likes the safety of America but misses all her friends. 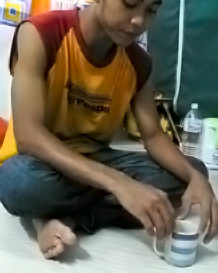 Is still living in Malaysia and patiently waiting for resettlement. Remember, the United States is Malaysia's #1 trading partner, and they are our #16. We enjoy a significant relationship with Malaysia. We must make their government—and ours—aware that we are concerned about these violations inflicted upon the people from Burma and other refugees who have fled for their lives. Please visit the How To Help page and print and send the letter offered to the Malaysian Department of Home Ministry. Please check back for more—multi-media update coming very soon! Copyright © Karen Zusman. All rights reserved. New York, NY, US.